WW2 Slindon Village at War. | The Military history of Slindon. Double click photo to enlarge. 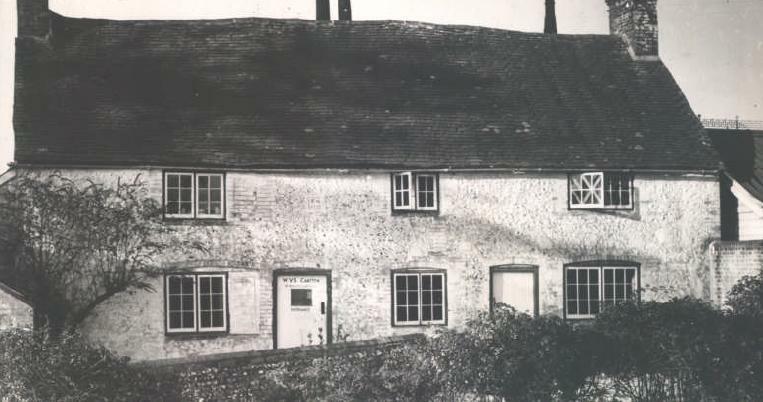 German Prisoners were housed at the Gumber Farm, in nissen huts. WW2 , Italian prisoners were housed in the village in wooden sheds erected around the village, one of the buildings still survives to this day, photo soon. It housed 2 prisoners, located in Sunny Box Lane. front row second from the left is my grandad Edward (Ted) Baker who used to live at no 54 Slindon Common (later merged with next door to become 52). My dad Roy still lives in Sunnybox Lane (also a carpenter).